shall be referred to hereinafter in these By-Laws as "Association". the SDBMX track in Chico, California.  to support and promote the objectives and policies of the USABMX at our track.  to promote good sportsmanship among our riders.  to maintain a safe, race environment, equipment, and track at all times. association, to render aid as needed. representation from our track at State and National race events. sense of pride in our track, our community, our park, and our teams. birthday, or (c) adult volunteers who are active at the SDBMX track. considered a member in good standing and to be eligible to vote in an election of officers.  non-compliance of Association By Laws in any instance.  non-compliance of USABMX sanctioned rules and guidelines.  advocating dis-unity within the Association. written request for reinstatement, which must be approved by 2/3 vote of the Executive Committee. (January 1 thru December 31). Officiating Director, Secretary, Treasurer, Rider Representative and Publicity. the association sees fit to continue to elect them annually.  to preside at all meetings of this Association.  to be ex-officio member of all committees.  to oversee New Construction committees and assign chairpersons.  to sign checks, in the inability of the Treasurer to do so.  to serve as delegate when possible to State and National Conventions.  to notify members of all Association meetings.  to perform such other duties as may be assigned.  to perform the duties of the President in their absence.  to be the Head and Chair the Membership and Awards Committee (See Section 6.2).  to attend monthly and special meetings and functions of the Association when possible.  to officiate as alternate Head Official at events Head Official cannot attend. thorough understanding of bicycle moto-cross and knowledge of the rules of competition.  to be the Head and Chair of the Operating Committee (see Section 6.2). responsibility of the New Construction Chair (see Section 6.2).  Official member of the New Construction committee. to the USABMX in accordance with the rules and guidelines of the USABMX.  to submit annual draft calendar of race events to the Executive Committee for approval. 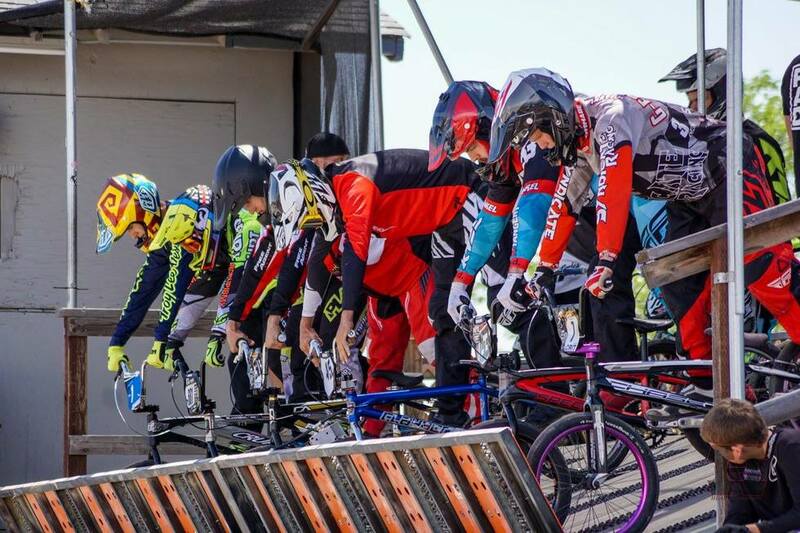  to be assign liaison between the SDBMX track and the USABMX Headquarters.  to oversees race day operations and race day track surface readiness.  to ensure starting gate is operational and ready prior to each racing event.  Appoints volunteers and trains individuals on proper procedures.  to act as Head Official at all race events.  Oversees medical supervision as needed. spotters, safety personnel, and scoring. Operator and other Officers and necessary.  to keep and read the minutes of all meetings.  to keep records of attendance at Association meetings.  to provide copy of minutes of all meetings.  to conduct correspondence of the Association as approved by the Executive Committee.  to keep a file of all correspondences and make them available at all times to the Association.  to be custodian of all operating funds of the Association.  to collect all funds and deposit all funds in the appropriate bank accounts.  to disburse funds as directed by the Executive Committee and to pay bills.  to be ex-officio member of all committees where funds are expended. the regular and special meetings.  to submit, upon request, books for an annual audit.  to reconcile bank statements.  A Rider Representative will be appointed by the Executive Committee. experience, hold a current USABMX card and have reached his/her fourteenth (14) birthday.  The Rider Representative will be the liaison between the riders and the Executive Committee. she shall bring it to the attention of the Track Operator or Safety and Officiating Director.  The Rider Representative can hold Riders Meetings at his/her discretion.  The Rider Representative will make a monthly report to the Association.  to actively promote, publicize, lead fundraising efforts and public relations for the track. Association, press announcements, events, and promotional items. successors within one month after retiring from office. introductions and appropriate rule books, etc., and notify temp riders of conversion/expiration date. Establish awards program and procure awards (top riders, moving up, trophies, etc.). including, but not limited to, outbuildings, restroom facilities, parking, drainage, weather protection. Responsible for developing plans, securing bids and drafting budgets for Executive Committee approval. as needed to assist in new track construction. Chair will also be liaison with the City of Chico as needed. cashiers, and cleanup of concession stand at races. responsible for all activities regarding the daily operation of the SDBMX track.  • to have jurisdiction over removal and reinstatement of membership.  • to approve appointments of chairmen of standing committees.  • to direct disbursement of funds.  • to approve the banks for funds to be deposited.  • to transact any necessary business between meetings.  • to make recommendations as to policies of the Association.  • to fill vacancies that may occur between elections. A simple majority (50% +1) shall constitute a quorum for all Executive Committee meetings. fewer than four (4) quarterly meetings held per year. SECTION 9.1 - There shall be no proxy voting. regardless of how many USABMX memberships have been registered. thirty (30) days prior to said meeting.